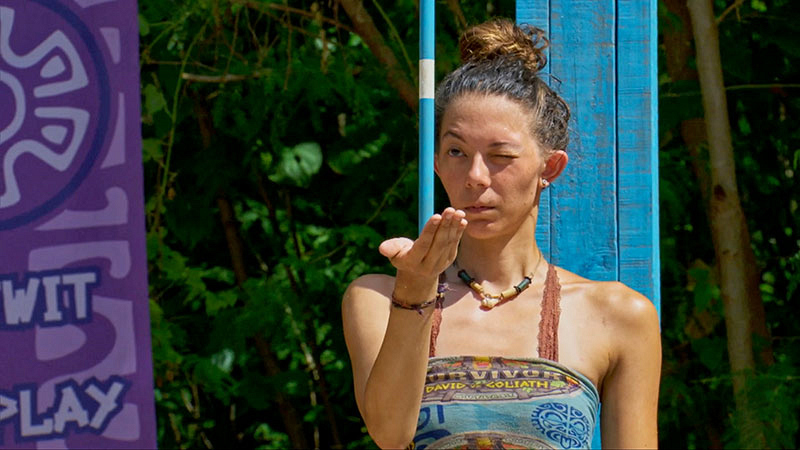 The latest cast-off from Survivor: David vs. Goliath talks about the blindside that went sideways, what they learned, and what the loved ones visit meant to them. With the end of the game drawing ever closer, the once-strong alliances of Survivor: David vs. Goliath are beginning to show the strain. 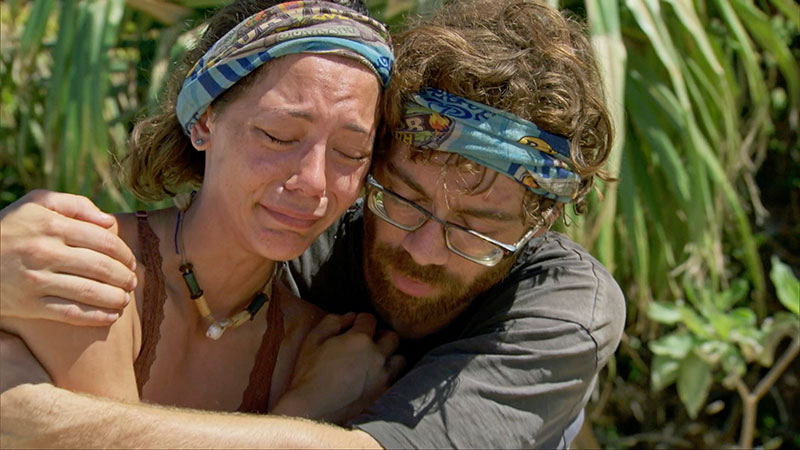 Last week, we saw the former Davids turn on one of their own and eliminate Carl, despite it meaning they were giving up the number advantage against the former Goliaths. And this week, we saw power duo Gabby and Christian split apart when Gabby decided it was time for Christian to be strategically removed from the game. Unfortunately, Gabby's plan backfired. 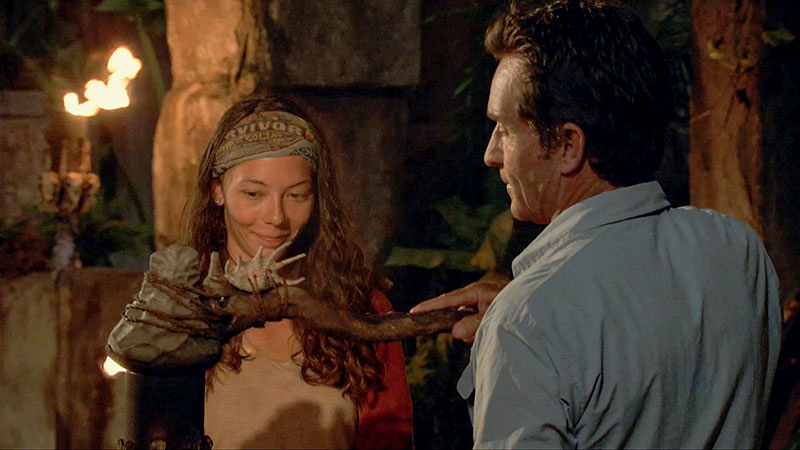 After Davie leaked the plan to Christian, the robotics scientist decided to use his Hidden Immunity Idol and the remaining votes pointed in a very different direction: the mastermind of Christian's would-be blindside, Gabby. 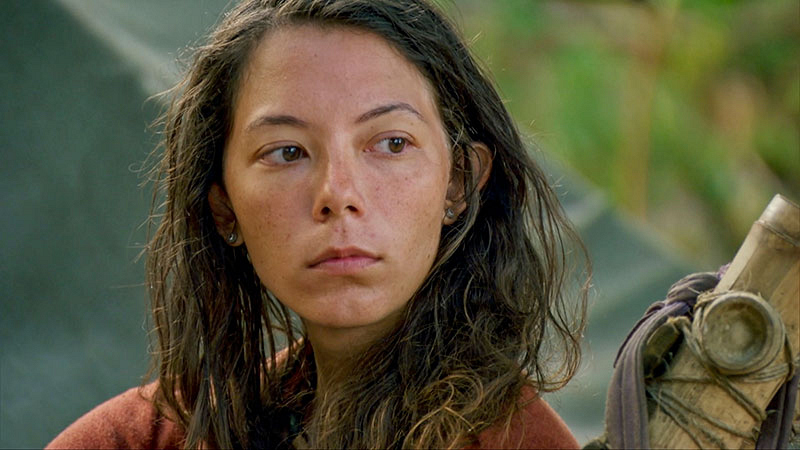 We caught up with the 25-year-old technical writer to talk about her alliance with Christian, when things between them changed, and what she learned from her experience. You aligned with Christian very early on in the game. What drew you to him as an ally? Gabby Pascuzzi: Christian and I saw the game very similarly, so I knew that he was someone that I could strategize with and bounce ideas off of. Additionally, I also knew that he was really likable and would serve as a shield for me. On the flip side, what was the thing that made you realize you had to go after Christian? Was it the loved ones visit? Gabby: I had definitely been thinking that I needed to cut ties with Christian earlier than the loved ones visit. I knew, the whole time I was allied with him, that if I went to the end with him I probably did not stand a chance because he was such a threat to win. He's so likable and everyone just adored him. So the loved ones visit was when it happened, and I would say it emphasized the fact that he was in it to win it. He was there playing for his family and his loved ones, he was not there to help me win. That was a wakeup call for me to realize that it might be my shot to take him out. Walk through the decision to orchestrate the Carl vote when the Davids had the numbers at that point? Do you still think that was the right move? Gabby: Yes, I do still think that was the right move. In my opinion, getting the numbers is only beneficial to people who are at the top of that alliance. And I was at the bottom of the David alliance. So for me, continuing to stick with the Davids was not necessarily beneficial to my personal endgame. In addition, Carl would probably target me in the next couple of votes anyway, so I had to get rid of him before he could get rid of me. 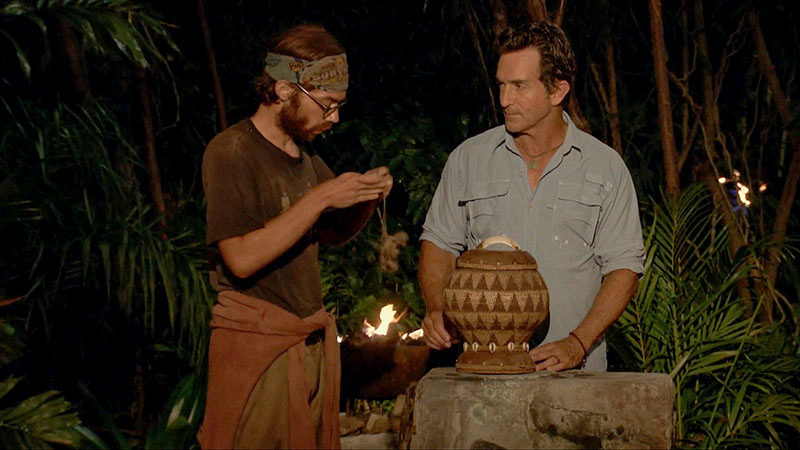 It looked like Christian was reading faces during Tribal when deciding to use his Idol or not. Did you know at that moment the vote could be headed your way? Gabby: Yes, pretty much as soon as Christian looked at me I had a feeling he was going to play his Idol. Of course, now I have seen in the episode that he was tipped off, so I have a feeling there was no way he wasn't going to play that Idol. I had some hope that the other votes were going to be for Alison, because I had talked to Mike and Angelina earlier that day and they said they were voting for Alison. I didn't even know they knew about the Christian plan, I had not told them. 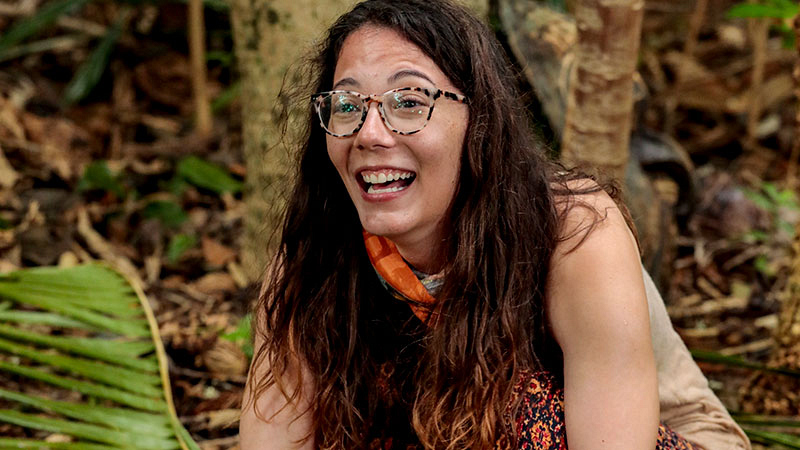 I was hoping the other votes would be for Alison but I did feel this sinking feeling in the bottom of my stomach where I had a very good feeling it was going to be my name. On a positive note, what was it like seeing your mom out there after more than 30 days into the game, even for that brief moment? Gabby: That moment is so special because it reminds you that you're out there playing for your family. It reminds you that there is an end to this game. When you're there, it feels so long, it feels so lonely, you don't really have anybody that you can trust. So seeing my mom was a boost for my morale and I think gave me the strength to go forward in the game boldly. What was the most difficult part of being out there, for you personally? 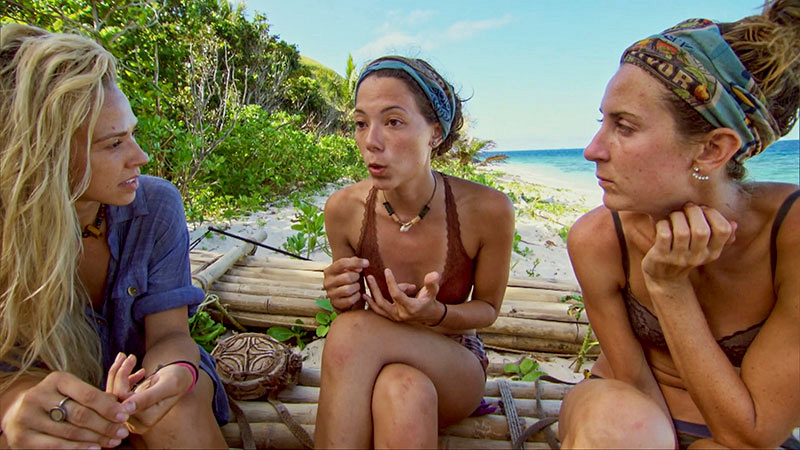 Gabby: I think the hardest part was... well, at the beginning of the game it was the weather. Living through those cyclones was really tough mentally. Just getting through 13 days of rain is just grueling. After the Merge, I think it was that I underestimated how hard the strategic game was because you never really know what's happening. You don't know all the stories. When you're a fan and you're watching, you see everything behind the scenes, you see who's allies with who. When you're playing you don't know who is telling the truth and who is not. So I thought I had deeper relationships with people than I actually did, such as Davie and Nick, and that's just because I didn't know what other relationships they had. Watching the episode back now, is there anything you feel like you could've done differently? 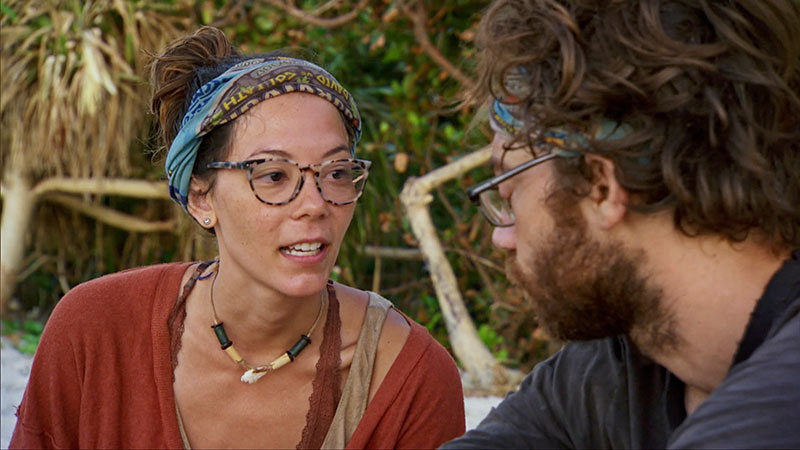 Gabby: I don't know at that point when I threw Christian's name out if there was anything I could have done. I had talked to Mike and Angelina, and maybe my mistake was to assume they were good with voting for Alison over me. I thought that they viewed Alison as a bigger threat than me so they'd be willing to write her name down. So I had this split vote planned in my head that I thought was going to work out, but I shouldn't have just assumed that people were going to go along with my plan and not do what was best for their own game, which was getting rid of me. 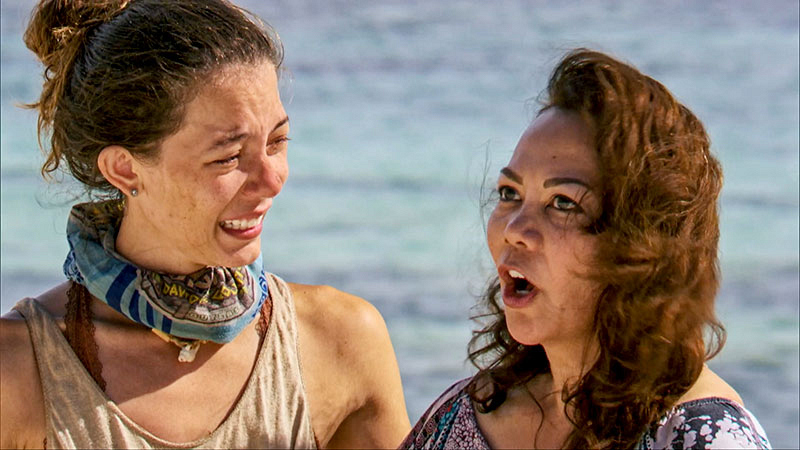 Being a fan, how did the expectations of playing Survivor match up to the reality? Gabby: It was so much harder than I expected. Mostly because it's just you in your own head out there. You have no information about what anyone else is doing, you don't know where the Idols are, you don't know where the alliances are, you don't know who is talking to who in the bushes somewhere. So as a fan, I think it's very easy to sit on your couch and see several votes ahead and see what players should've done. But when you're out there, you can only make a decision with the information you have at that time and hope that the information you have is good. That's the only thing you really have to make a decision on. Gabby: I think I learned that I am much more resilient than I thought. Whether that's surviving the weather, standing up in an endurance challenge for over two hours, or whether it's being able to make a hard decision and vote in a strategic, unemotional way to further yourself in the game.